We take your questions on alerting others to your new address, sick kiddos coming to parties, noise and neighbors, saying no to parties, and handling rude comments made by family. Plus your feedback, etiquette salute and postscript segment on setting up your guest room. 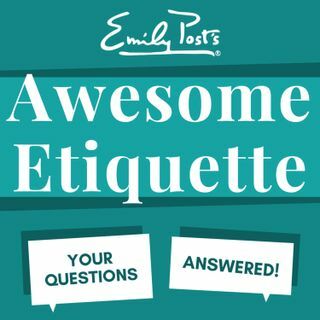 For Awesome Etiquette sustaining members your extra question of the week is about guests who take over the kitchen and overstay their welcome.